The Department of Labor and Employment (DOLE) has released guidelines on the 13th month pay employee benefit. Secretary Baldoz mandates all private sector employers to voluntarily comply with the law and pay their workers the 13th month pay, including all other lawful employee compensation. 1. 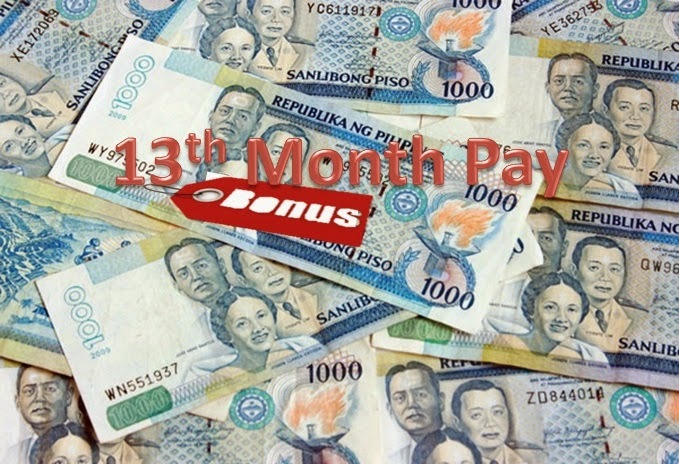 The 13th month pay is a form of monetary benefit equivalent to the monthly basic compensation received by an employee, computed pro-rata according to the number of months within a year that the employee has rendered service to the employer. 2. All establishments regardless of the number of employees are required to pay their rank-and-file employees the 13th month pay. 3. All rank-and-file employees regardless of the nature of their employment, and irrespective of the methods by which they are paid, provided they worked for at least one month during a calendar year are entitled to receive the 13th month pay. 4. The 13th month pay is computed based on 1/12 of the total basic salary of an employee within a calendar year, or basic monthly salary for the whole year divided by 12 months. 5. “Basic salary” shall include all remunerations or earnings paid by an employer to an employee for services rendered, but does not include allowances and monetary benefits which are not considered, or integrated, as part of the regular, or basic, salary, such as the cash equivalent of unused vacation and sick leave credits, overtime, premium, night differential and holiday pay. Basic salary includes cost-of-living allowances. 6. Maternity leave benefits are not included in the computation of 13th month pay. 7. 13th month pay should be paid not later than December 24 of each year. 8. A covered employer may pay one-half of the 13th month pay before opening of the regular school year and the other half on or before the 24th day of December of every year. 9. Only rank-and-file employees are entitled to 13th month pay. The Labor Code, as amended, distinguishes a rank-and-file employee from a managerial employee. A managerial employee is one who is vested with powers or prerogatives to lay down and execute management policies and/or to hire, transfer, suspend, lay off, recall, discharge, assign, or discipline employees, or to effectively recommend such managerial actions. All employees not falling within this definition are considered rank-and file employees.